Appliance energy use is usually less, on average, than home heating and cooling, but it can be several hundred dollars each year. Your appliance use depends on factors like the model, how often you use it, the settings you use for its particular function and even the time of day it is most used. Over the last few decades, new appliances have become more energy efficient, driven partly by minimum government standards. These standards, created by the U.S. Department of Energy, save consumers over $60 billion each year. Appliances are required to include an EnergyGuide label that shows estimated energy use and operating cost per year. These labels help you compare different models and calculate the initial cost against the long-term savings. 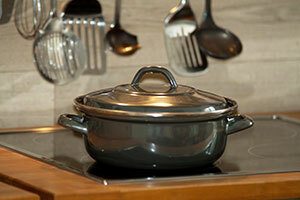 In some cases, the configuration of the appliance can also make a substantial difference. 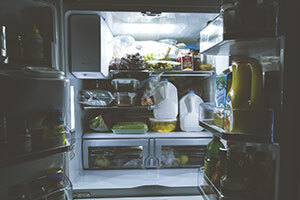 For example, a side-by-side refrigerator/freezer uses about 70 percent more energy than other configurations, with all the most efficient models having the refrigerator stacked on top of the freezer. All 36 of the most efficient clothes washers of 2018 were front-loading models. Consider how much you use the appliance. The more you use the appliance, the greater your savings will be from choosing a more efficient model. If you use the appliance less or have a small household, you may get by with a smaller refrigerator or freezer, which will save you money. A new ENERGY STAR fridge/freezer can use 70 percent less energy than a model that’s 10-plus years old. Models with the fridge stacked over the freezer are also two-thirds more efficient than side-by-side models. Set your refrigerator at 35 to 38 degrees and your freezer at 0 degrees. This column was co-written by Pat Keegan and Brad Thiessen of Collaborative Efficiency. 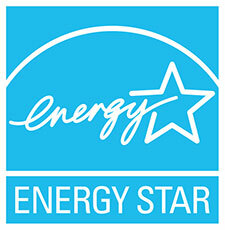 For more information on saving energy on your appliances, please visit: www.collaborativeefficiency.com/energytips.